Welcome to the Northeast Illinois Council History Project page. 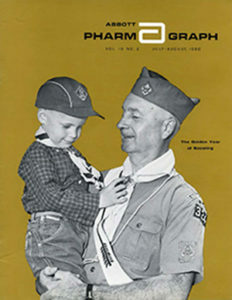 We are very proud of our history with the Boy Scouts of America. While the Northeast Illinois Council was founded in 1929, the Scouting program started in Northeast Illinois in 1910 with some of the first Troops in the country. As we continue to gather information and accumulate tokens of the past, we would like this page to serve as our living museum, where you can gain information and share your knowledge to help us maintain pride in our history. Join the Northeast Illinois Council History Project on Facebook to see the latest news, historical photos, memorabilia and upcoming events. We are looking for news articles, photos, letters, and any archival material that might help us to uncover the dynamic history of what is now the Northeast Illinois Council. If you have information to share or would like to volunteer on this project, please contact Bert Tucker or you can call him at 847.234.0115. He’d love to hear from you. We are also looking for written history of your Unit, true campfire stories and/or information relating to any of the Councils that now make up the Northeast Illinois Council. Please check out the NEIC HISTORY TIME LINE-1910 to 2019 to see where we’ve been and how you might help to fill in the gaps! You might also enjoy Don Martin’s Written History with an introduction about the NEIC History Committee. Click the image below for a wonderful trip down memory lane provided by Abbott, circa 1960.